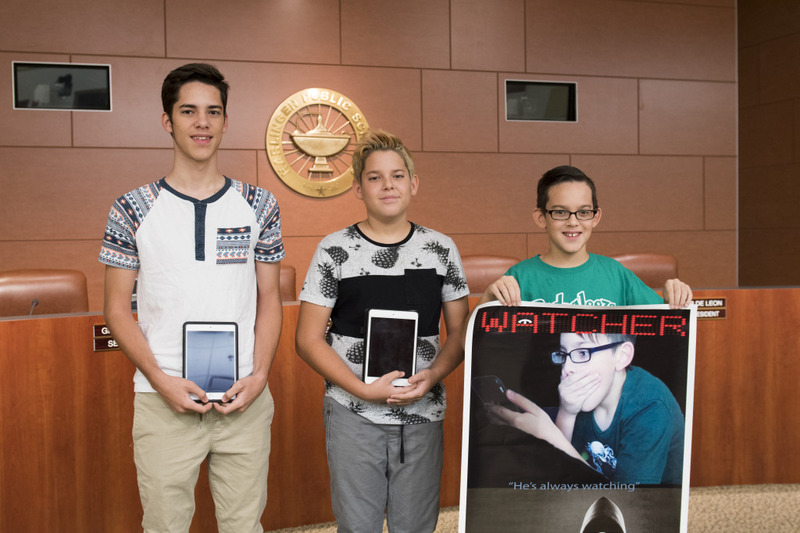 Brothers, Lucas, Troy and Drew Benitez, attending Harlingen High School, Vernon Middle School, and Memorial Middle School respectively, were recently named Grand Prize Winners in the 2017 iPadpalooza Youth Film Festival. The trio used part of their vacation from school to record, edit, and complete their film, “Watcher,” during Spring Break 2016. While Lucas recorded and edited the video, Drew took the role of lead actor, and Troy came up with the ideas and did some acting in the film as well. Semifinalists were selected based on popular votes and judge scores. Each full view of their film on Vimeo counted as one vote, and a team of 10 judges scored each video. The videos were judged based on theme, creativity, editing, and the use of certain elements in the film such as the inclusion of a monument and the line “Gotta Catch Them All” in their movie. Finalists received a special screening of their film at a private event at the Alamo Drafthouse in Austin, Texas on the evening of June 7, 2017. “My favorite part was how much fun it was and all the funny moments we had while we were working on this project,” Vernon 8th-grader Troy Benitez said. “I learned that it is better to work together, especially with family, rather than working alone. The video came together as a huge family collaboration. The Benitez brothers came up with the ideas and produced this video, but they received a lot of support from their family. As Grand Prize Winners, the team of three each received an iPad Mini 4 and a tripod.